I smiled when Canadian Thoroughbred approached me about doing an article for this sales preview issue. I was asked to share my expertise on which conformation traits I look for in a yearling that are indicators of a successful future performance as a racehorse. Certainly I’ve seen a lot of horses pass in front of my eyes and I do find the process fun, fascinating, puzzling and intriguing. Since 1997, I have consigned many yearlings at the CTHS (Ontario) sale and at both major sales companies (Fasig Tipton and Keeneland) in Kentucky. I have been fortunate to breed, foal, raise and consign my own horses as well as consign for many other owners here in Canada and the U.S. I’ve had several great accomplishments at these sales including: selling two sale toppers, one champion, two millionaires, more than 20 stakes horses and over 200 winners. I have had three select yearling colts from the same consignment run first, second and third in their first stakes race. I also set a North American record for a pinhook, and according to Market Watch, in 2007 I tied for third in North America for percentage of pinhooks sold profitably. The reason I smiled though, is that my process is more intuitive than scientific. I rely on an overall impression that is hard to quantify, but it does include a checklist of sorts that I will share with you. No matter what the pedigree or the conformation indicates, it takes many steps and many people along the way to produce these sales yearlings. 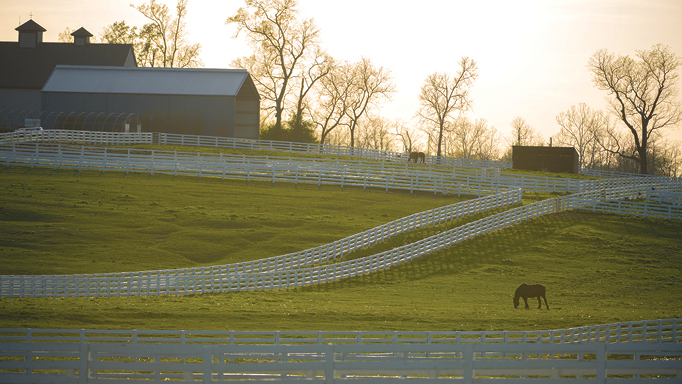 Consequently, I believe that young horses should start with the very best environment possible. Proper feed and nutrition goes without saying and skilled handling to ensure confidence is a must. In the short time between weaning and the sales, a yearling’s young mind and body is exposed to so much it is important that the rest of his life experiences be as stress-free as possible. Creating such an atmosphere plays an important role when it comes to a yearling’s future career as it teaches him to adapt more easily to new environments and training programs. A relaxed attitude becomes particularly important when he is being tacked up in the paddock and walking in the post parade: he needs to focus on the race and save energy to give his best performance. It goes without saying that we all like a good looking horse, and ultimately that is my strategy when looking for a good racehorse. To start, I like to see a nice head with a good eye. I have always been attracted to a smart eye. To me, the eye tells you many things: is he tough? Wise? Smart? Kind? Easy? Intelligent? Typically a good eye comes with a nice head. After that I check the topline which shows balance and overall presence. Physically, everything must tie-in neatly on the horse. Head to the neck, neck to shoulder, back length, deep girth, strong croup, and good quarters. I love strong forearms, flat knees, proper angle to a hock, good angle to the pastern and sound looking feet. 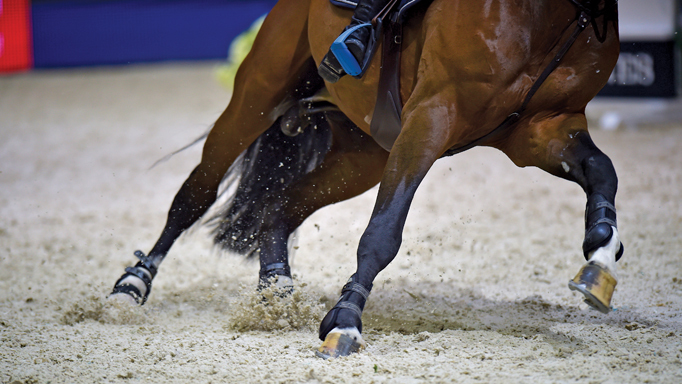 Feet should be in proportion with the horse so you don’t want to see small or narrow feet on a large horse. They should be well sprung at the heels to balance the horse’s weight and should be of the same pastern angle. The overall healthy look to the foot is important, good growth, good wall, strong enough to hold nails without showing any cracking. I prefer to watch a horse walk in profile before I watch him going away or towards me. That probably comes from days past when I showed young-stock on the line and taught show horses about self-carriage. I look for a good flat-footed walk with a nice over-stride, rhythm and cadence and a good swing to his hips. Standing in front, you want to see as much straightness as possible. Imagine a plumb line through the center of the forearm, passing through the knee, down through the cannon, and to the center of the toe. From behind, strong quarters over balanced hocks with toes slightly out a little. Overall, I must get a good feeling from the horse. Is he happy? Does he walk with intent with his handler? Is he willing to stand and observe his surroundings? This is important because when this young horse leaves the sale and heads off to the farm to be broken and then raced, he needs to quickly adjust to change and be able to move forward willingly. He needs to take in a lot of action around him so it is in his best interest to be wise and have a very calm attitude. So as you can see, my formula isn’t much of a formula at all. I believe that you can look for certain qualities to increase your odds but, as with racing, there will always be the long-shot that proves you wrong. There is an X factor, and we all hope our horse has it when the gates swing open. As a consignor, it has been fascinating to watch and learn from prospective buyers and trainers, and to find out what they are looking for; what they believe makes a racehorse. I have shown many yearlings to people who never open their catalogues until something interests them enough to do so. Typically that’s a good walk: the big flat footed walk, driving from behind with rhythm. Others buyers will come with a predetermined set of criteria, they only want to see yearlings from Ontario sires or American Sires, proven sires, proven mares, freshman sires, from winning mares, colts only, fillies only, etc. I have been asked not to bring out small yearlings, big yearlings, crooked yearlings, late foaling yearlings, and don’t bring out a chestnut! The list goes on. I have seen buyers take their hands and measure between the horses eyes, put their fists between their jaw bones, feel the thickness of their throats, put their chin to the withers, feel their loins, grab their tails (they only want a horse with a thick tail), pick up their feet, measure the length of their toes, rotate their ankles, look under their mane, stretch their legs forward, bend their fetlocks to their knees, stroke their bellies, check for testicles and check for female anatomy. They will even pay expensive companies to come measure all their body parts, including heart beat scans. I know one gentleman who would watch the horses in the ring and would refuse to buy if they hesitated doing anything, and doing so while walking into the auction ring was a particularly grievous offence. Some people will make it a point to ask if the horse has any vices. Some people will watch the horse in the stall just to check their behaviour. Some will ask, ‘Who raised this horse?’ Interestingly, not one person ever has asked me about, or seemed to care, about ‘the nick’ of the breeding. So many breeders lean towards this when choosing their matings, but many buyers just don’t seem to care for this information even when it is offered. Personally, when purchasing a yearling I look for that individual with everything I’ve described here, but I’ve also been known to break my own rules. Following are a few examples of horses I’ve sold that didn’t fit the ‘ideal’ mold. They just had something extra, they gave me that feeling, that gut feeling and I just plain liked them! When it comes to the vetting, ask 10 vets to review a horse and you will probably get 10 different answers. I had one filly that was a lovely package. She was good looking, had a good pedigree and should have been an easy sale, but she failed the vetting, twice. One vet even went so far as to advise a prospective buyer to stay away from her with a 10-foot pole! With those same x-rays, I took her to the US sale where she sold for a good profit. She went on to be undefeated at two and a stakes winner at three. 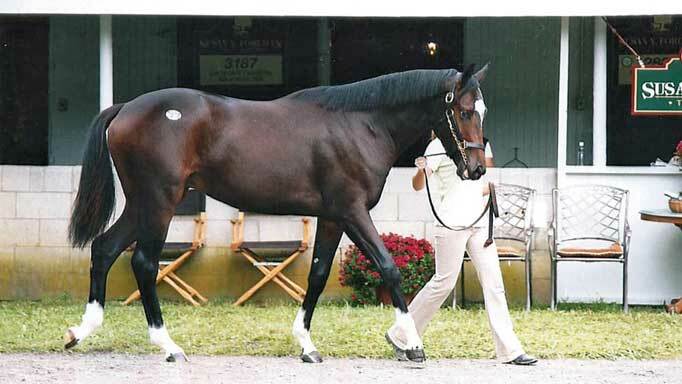 I had this big – really big – yearling in the Preferred Sale. I don’t know how many people just shook their heads at him and commented on his size: “too big” or “way too big” and “would make a good show horse”. He sold for a mere $21,000 and went on to win over $1,000,000. I had a filly and she wasn’t a stand-out and could have easily been overlooked. She was pretty enough in an unassuming kind of way, but her pedigree was very interesting. She was by a young sire, who is very hot now although he wasn’t at the time, and out of a Lear Fan mare. All together, she was a nice combination of turf breeding that sold for about $30,000 and went on to become a Champion Turf Female. For some reason it seems like turf pedigree have always been a little cheaper to buy than the sprint/distance pedigrees. Despite the shorter season and fewer races, some of these turf horses are money well spent when the purses are high. I had a colt that brought all the money in the sale. He had it all: the looks, the pedigree, the conformation. He was raised like a king and had the makings of a champion. As a two-year-old under tack he was balanced and light on his feet and very powerful to watch. Sadly he was a big disappointment to his admirers. What was the explanation? Did he have no heart? No natural talent? No desire to be competitive? It remains a mystery. I sold a horse who I swear looked like he had one front leg on backwards and he won his first time out. I sold another horse with his left eye missing and he won three times his first year racing. What did they have in them? 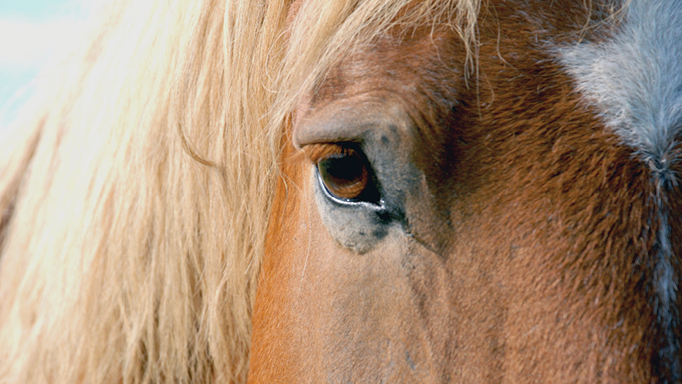 How did the partially blind horse beat others with two eyes? How did the crooked horse, and all the others that have failed the vetting, win? Two of my own horses had bad, white feet. One of them was a club foot and one was very difficult to keep shoes on, but both could glide over the track like they were floating on air. They were both RNA ‘s at their sales and probably looked like they would have soundness issues, but neither of them ever did while they were racing, sharing seven wins between them. 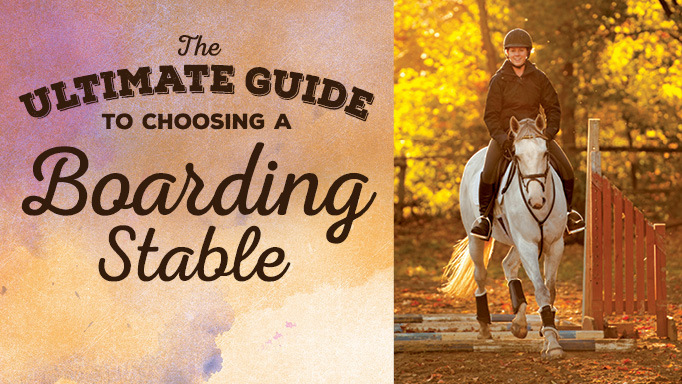 Which is the best type of wood for horse fencing?